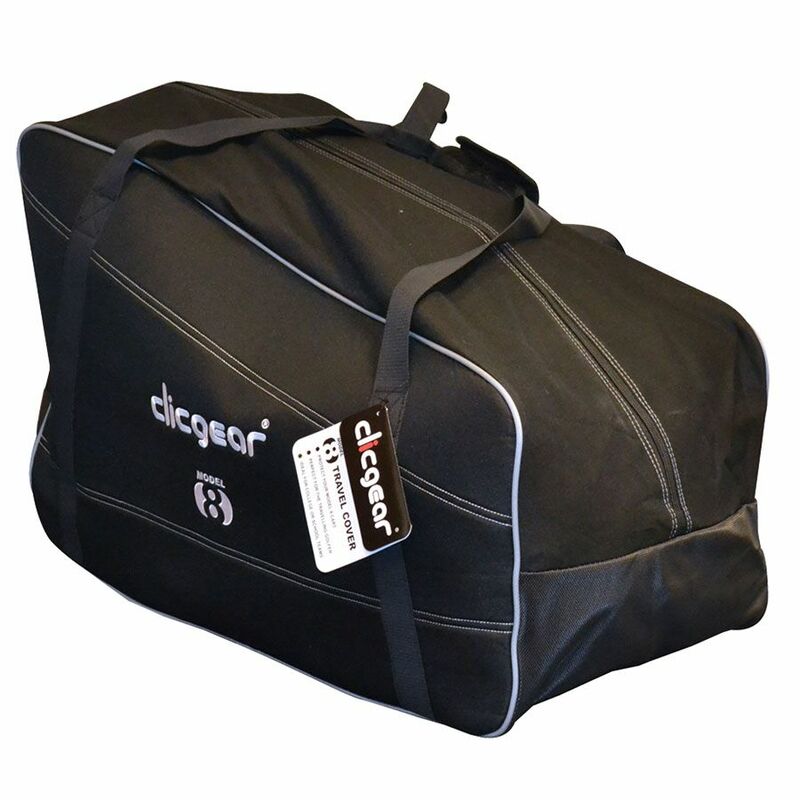 The Clicgear 8.0 cart travel cover will protect your cart whilst you travel and has a strong carry handle making transporting it easier and more comfortable. The cover will fit the Clicgear Model 8.0 and is made from tough and padded nylon that is also waterproof keeping your cart well protected and ensuring the cover’s durability. There is an internal rubberized pocket for storing other items such as shoes and the cover’s base is also rubberized, making it stronger and more resistant. for submitting product information about Clicgear 8.0 Cart Travel Cover We aim to answer all questions within 2-3 days. for submitting product information about Clicgear 8.0 Cart Travel Cover. We aim to answer all questions within 2-3 days. If you provided your name and email address, we will email you as soon as the answer is published. for submitting product review about Clicgear 8.0 Cart Travel Cover.